As I went straight from school into the apprenticeship, it felt like a big adjustment - I had never done anything like it before. At school, I was used to finishing most days at 3pm, whereas in the office, the day ends at 5pm. Also, in the workplace, you are treated much more independently. You're expected to show initiative, and it is your responsibility to ensure tasks are completed. At school, the schedule is heavily structured and most of your tasks are decided by the teacher. Having said that, things are becoming easier the more time I spend in the office, and the more work I am shown to do. I feel like I am adapting well to the new environment. The course I am taking - Level 3 Paralegal Apprenticeship - aims to cover any legal knowledge a required of Paralegal, and ensure that by the time of completion, I meet the Paralegal standard. The apprenticeship is provided by CILEx (the Chartered Institute of Legal Executives), which is also the assessing body that provides the qualification. CILEx also provide the teaching, as well as a Legal Assessor Trainer (LAT). The LAT is essentially a mentor who will assist me throughout the duration of course. The LAT regularly visits my workplace (around every 6-8 weeks) to track my progress, my work, and also to provide support. She is my first point of contact for any worries or questions I may have regarding my apprenticeship. Through CILEx, I am also provided with online accounts through which my work is set and completed work is submitted electronically for marking. Resources are available online such as revision resources and webinars. CILEx will also provide me with a ‘Law Teacher’ who be the person responsible for the teaching within the webinars. This will also be another person I am able to contact if have any queries regarding my work. It's important to note that each apprentice will take a different pathway, depending on the area of law their workplace specialises in. for example, I will be taking the ‘Civil Litigation’ course as this is the area of Law Emmott Snell Solicitors works within. The majority of my time is spent in the office - 4 days a week, with the close supervision of my colleague and designated mentor, Jacqui Morton. Applying for records, such as hospital and GP records, social services records and therapy records. When these records are not received on time, I also have to chase the authority applied to, to ensure we receive them. Once the records are in, I also peruse them which is when I read the records and note down any information which I believe is necessary. Whilst these tasks are things I do often within my position, no two days are the same and the tasks I carry out can change on a daily basis. I am also expected to complete 20% ‘off-the-job’ time. This is study time, completed within working hours, in which I am expected to complete any work set for me. This is also when I watch webinars or carry out revision for the exam. It can also include any courses or conferences I attend as part of my role as a Paralegal at Emmott Snell Solicitors. Another of my responsibilities is to complete my Portfolio. This is a collection of work evidencing that I have achieved the assessment criteria and the ‘standard’ of the paralegal apprentice. This Portfolio is then used in the End Point assessment where the apprentice is interviewed by an assessor about the work in their portfolio to ensure they actually have met this standard. Assuming I am successful, I will be awarded the ‘CILEx Level 3 Certificate in Law and Practice’. This will take two years to complete and comprises of assignments, assessments and exams. My first exam is in June: ‘Introduction to Law and Practice’. There are then assignments and assessments set on ‘Law and Legal Research Skills’; ‘Legal Practice and Client Care Skills’ and ‘Workplace Skills’. Once all of these have been completed, I have to undergo the ‘End Point Assessment’. My course began with a full Induction day in London. 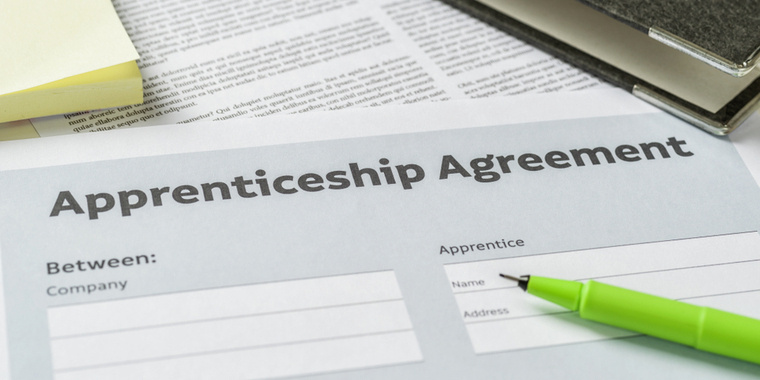 This covered everything an apprentice needs to know before starting the course, such as: the assessment criteria, the 20% ‘off-the-job’ study time and the portfolio. The Induction was been completed marked the formal start of my Apprenticeship. While my course with CILEx began in January 2019, I took up position of Paralegal Apprentice here at Emmott Snell Solicitors in September, so I feel it's given me a bit of a head start. For me, I feel that the Paralegal Apprenticeship was the best option I could have taken, and I am glad I did so. It will enable me to achieve a new qualification without having to going to university, and it will eventually lead me to a career in law. This is something that has always interested me and is something I have always hoped to do. The fact that the Apprenticeship is part learning and part working also means I am able to gain experience whilst I learn. For me, gaining the experience within the workplace is the most important part of the Apprenticeship as it is not something you can be taught- you have to be given the opportunity to gain the experience. Experience is also something that most employers look for, so this is invaluable. It also helps that you get paid whilst you learn. If you feel that becoming a Paralegal Apprentice is something you are interested in, you should contact CILEx on 01234 845727, or email them on info@cilex.org.uk- even if you do not have a employed position, as they will be able to talk you through the next steps, and put you on track to your application process.